Best practice calls for state and local organizations to work together to reduce tobacco use rates, address higher rates of use among certain populations, promote tobacco-free policies and offer support for those who want to quit. These collaborations allow us to better reach and serve Vermonters who use tobacco, and the health care and social service providers who serve them. The Health Department’s statewide network of 12 local health offices work together with tobacco coalitions, hospitals, local businesses and other health organizations to support and connect the communities they serve to resources that help reduce tobacco use. Local health staff get training and technical assistance from the Tobacco Control Program. They help ensure local tobacco control and prevention resources are promoted and accessible. The purpose of the Coalition for a Tobacco Free Vermont works closely with our grantees and other partners, community leaders, and legislators to promote and implement programs and policies that reduce tobacco use in Vermont. The work of the coalition has been key in passing smoke-free laws, tobacco taxes and tax parity among products, and other policies that lessen the impact of tobacco in Vermont. Vermont’s Tobacco-Free College Campus Initiative is a partnership of Vermont colleges, universities, community coalitions, and the Vermont Department of Health to support the health of our communities of higher learning. This initiative aims to help individuals and institutions: examine the benefits of tobacco-free or smoke-free campus policies. We fund a number of tobacco control and prevention community grantees. These coalitions work with various partners such as schools, health care organizations, state and local government, nonprofits, businesses and media to prevent and reduce tobacco use and exposure. Through their efforts, strong tobacco-free social norms have been shaped and protective measures passed. The coalitions serve Vermonters all around the state. Work with towns to make public places, parks and beaches smoke-free. Collaborate with youth groups to educate communities about the impact the tobacco industry has on youth and young adults. Promote the benefits of updating town plans and zoning districts to reduce the impact of tobacco in Vermont’s communities. Help businesses and colleges incorporate tobacco-free policies. 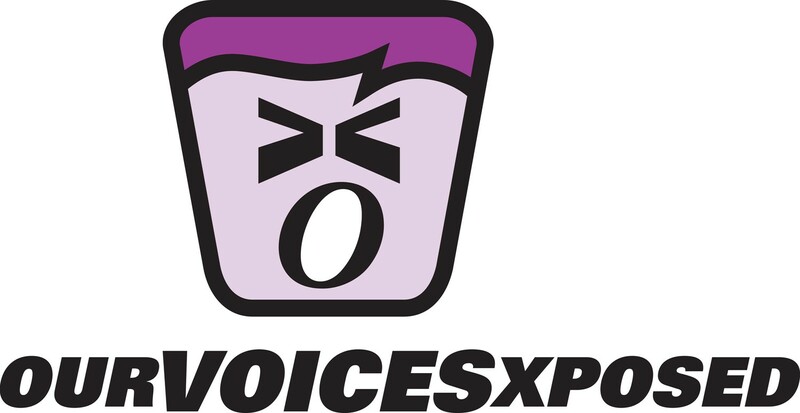 Over the past two decase, the Tobacco Control Program, together now with the Agency of Education, has supported the local youth group chapter of Our Voices Xposed (OVX) for high-school aged youth and Vermont Kids Against Tobacco (VKAT) for middle-school aged students. Education and engaging youth in how and why the tobacco industry targets them, and giving them the opportunity to educate others in their community, is a powerful strategy to counter tobacco's influence. Each day, youth are still exposed to multiple tobacco messages, many in local retail settings. More than 300 youth in our state become regular smokers each year. The OVX and VKAT groups engage and empower youth ages 10 to 18. Through youth leadership opportunities, they educate students, community members, and decision makers on the tactics used by the tobacco industry, encourage healthy choices among peers, and work to reduce tobacco use and change social normas. OVX and VKAT also work with the Vermont Department of Health on media and counter-tobacco marketing campaigns. Enosburg OVX members, in collaboration with their local tobacco coalition, led an initiative to make the town’s parks smoke and e-cigarette free. OVX and VKAT organized grassroots events designed to bring attention to the problem of tobacco advertising in their communities. OVX groups presented to legislators on the benefits of restrictions that are proven to reduce youth tobacco initiation at an annual Statehouse Rally. We collaborate with local chapters of national organizations that support tobacco control and prevention through research, resources, practice improvement and advocacy. In 2016 we partnered with the local chapter of the American Association of Pediatrics to bring a nationally recognized speaker to Vermont for two days of presentations and discussion about reducing youth and young adult tobacco use and secondhand smoke exposure. We work with partners within the Agency of Human Services to help address tobacco-related disparities, promote the benefits of tobacco-free policies, and provide support for quit help with the populations they serve. The Tobacco Control Program worked with the Department of Vermont Health Access to offer reimbursements for counseling provided by clinicians and tobacco treatment specialists, including referring to 802Quits. Through this partnership, information was mailed directly to providers and to people insured by Medicaid, resulting in higher quit tool orders and increased calls to the Quitline. As a result, Medicaid Beneficiary quit-by-phone coaching calls increased from 483 in 2013 to 911 in 2015. These collaborations enable us to better reach and serve Vermonters who use tobacco, and the health care and social service providers who serve them. We meet regularly with our state and local government partners to share information, research and data, provide trainings and materials, explore health care policy, and tailor outreach. The Pride Center works to support the health of the LGBTQ community. The Vermont Refugee Resettlement Program works with New Americans and refugees coming into the state. To learn more about our work to address differences in tobacco use among certain populations, see Populations in Focus. Most Vermonters who smoke want to quit. You may be one of them, or know someone who is trying to quit tobacco. With the right tools and support, you can do it. Here is the State Tobacco Plan 2015-2020 and resources to help you support Vermonters attempting to quit tobacco and stay tobacco-free. Low-income adults and those with mental health and substance use disorders have higher rates of tobacco use – and greater impacts on their health and quality of life. Vermont has a long history of passing state laws and local policies to protect people from secondhand smoke, to stop youth from starting to use tobacco, and to lower the prevalence of tobacco use.